Now all the features of expensive sneakers for dollars less! 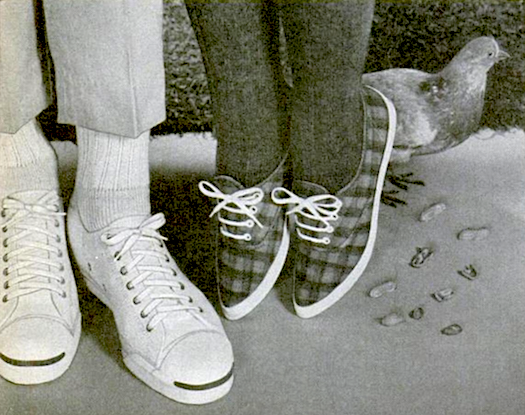 Built for comfort and extra long wear, Mr. Sneekers brings you the styles you want, in latest fabrics and colors for fall. 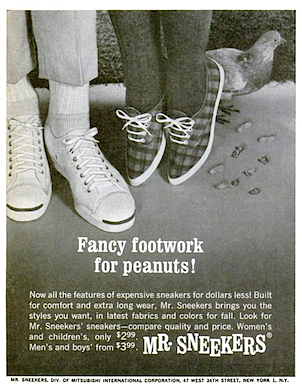 Look for Mr. Sneekers’ sneakers – compare quality and price. Women’s and children’s only $2.99. Men’s and boys’ from $3.99. MR. SNEEKERS. DIV. OF MITSUBISHI INTERNATIONAL CORPORATION. 47 WEST 34TH STREET. NEW YORK 1, N.Y.